My granddaughter, Liddy & I explored Rocky Hollow located in Turkey Run State Park. The hollow was filled with frozen waterfalls & seeps. Here you can see how massive some of the icicles were. Liddy checking out a frozen seep. The area was dripping with beautiful sights. We have a red squirrel living near the house. These guys look like "baby squirrels" since they are about half the size of fox squirrels. They are not as common in our area so this guy is a welcome addition to the wildlife menagerie. We are having a warm up and the snow is melting. Tag enjoyed a roll in the mud. Back home to a frozen creek and winter in full swing. Our vacation is winding down. But now its time to sail away home! which flowed to the sea. We left Stock Island and paddled among the tangled branches of the mangroves. 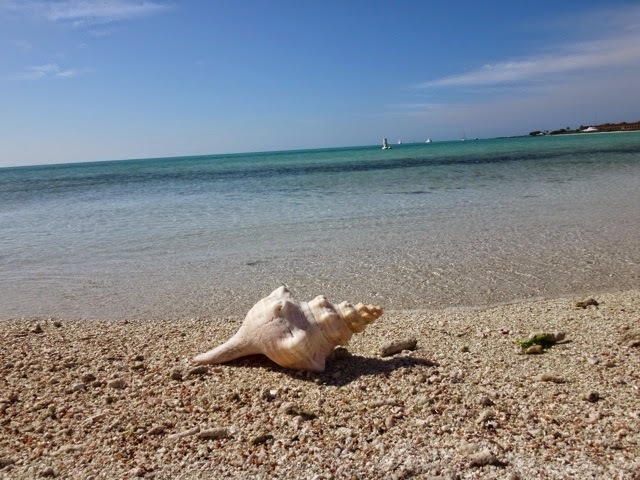 Our guide netted all kinds of sea creatures, like this horse conch. A slug-like sea hare that was sticky to hold. like this raft of comorants. It was a fun day on the water. 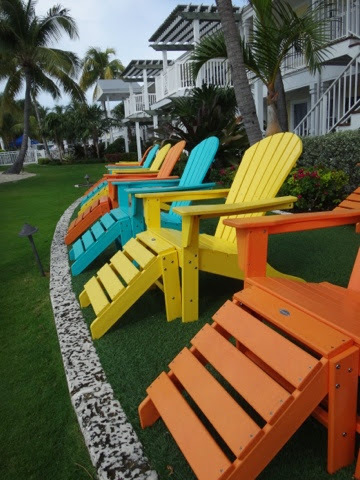 Our hotel is near the Key West Butterfly & Nature Conservatory. I had to visit this beautiful place. Every color and pattern are represented. And there are pretty birds too! The birds are from all over the world. There is a flowing stream meandering through the exhibit which attracted lots of birds. And baby quail shared the walkway with us. 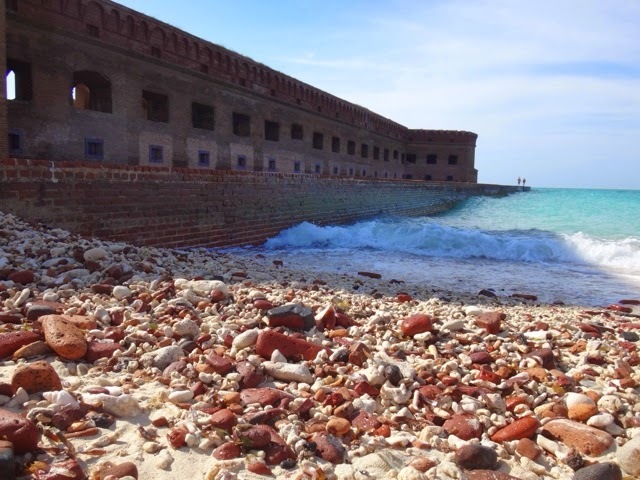 Seventy miles from Key West is one of the least visited national parks, Dry Tortugas. 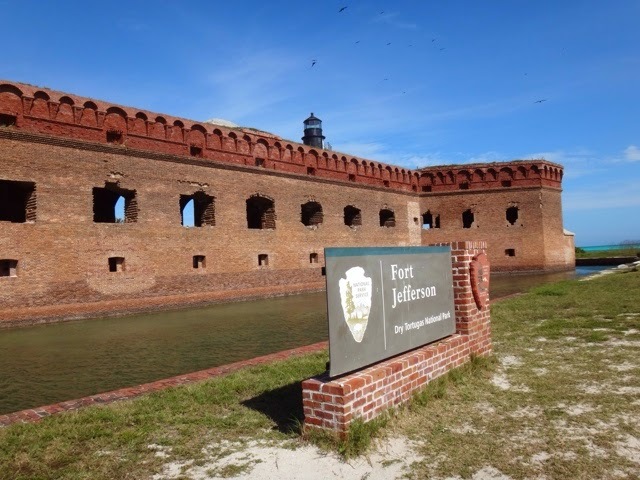 The park consists of coral reefs, shipwrecks and seven undeveloped islands, including Garden Key, the site of Fort Jefferson. 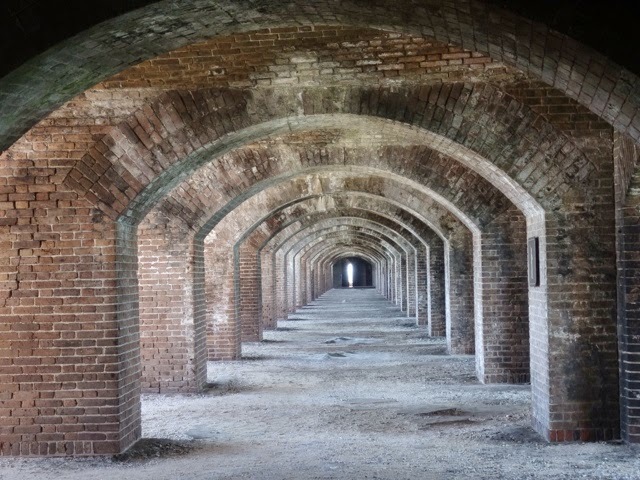 Construction of Fort Jefferson began in 1846 and was never completely finished. However it was a Union military prison during the Civil War and then abandoned in the 1880's. The only way to get here is by boat or seaplane, so you have the island mostly to yourself. 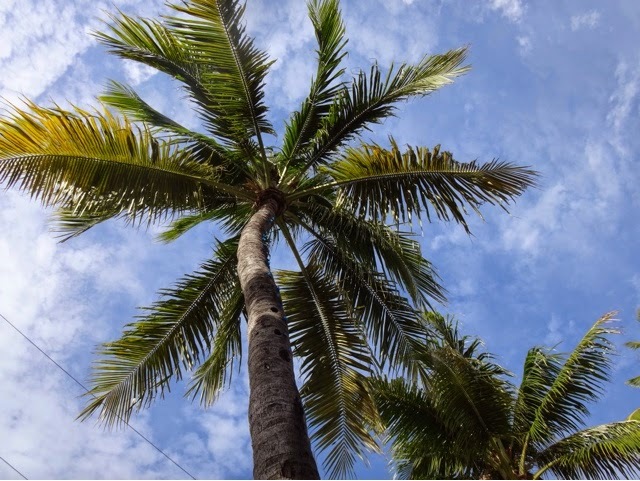 Explore the fort at your leisure! The park is an important wildlife refuge for lots of seabirds. 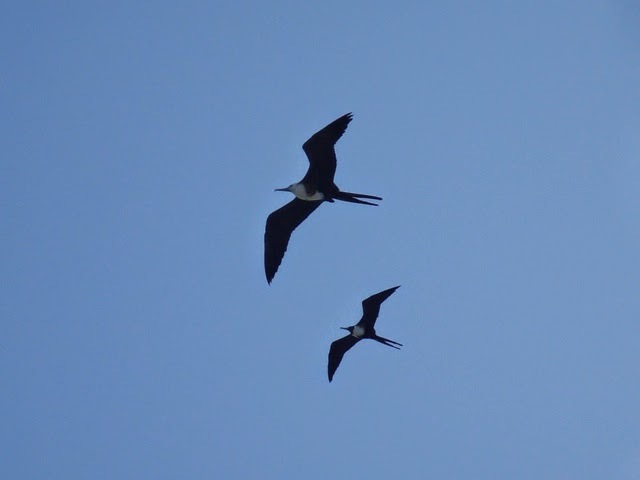 These frigate birds were coasting over the fort. 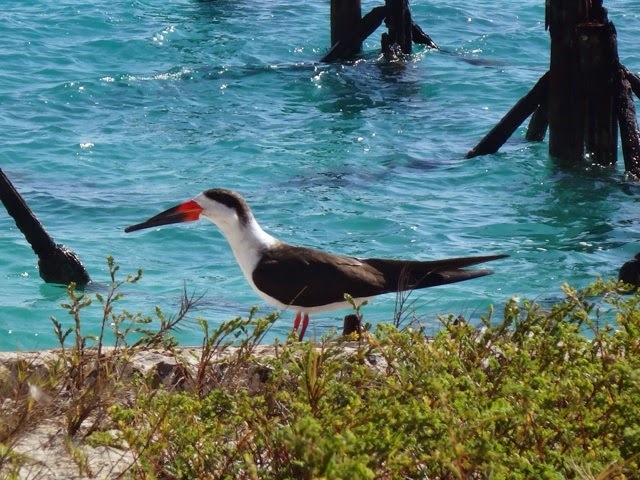 And these black skimmers were hanging out on the beach with the gulls, pelicans and sandpipers. This beach near the fort was a mix of coral & brick fragments. You won't regret a visit to this remote park! Winter is digging in full force in Indiana, time to "Get outta Dodge!" 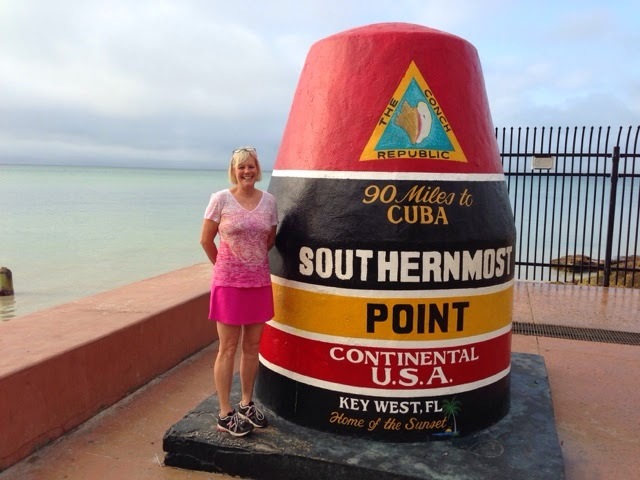 We went as far south as we could without leaving the USA, Key West! 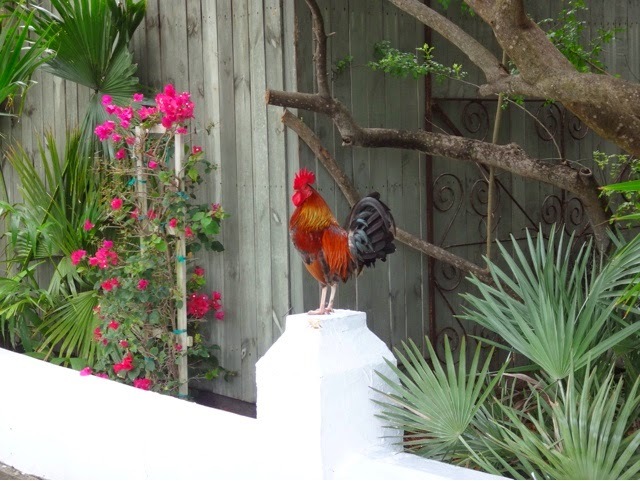 Oh and lots of roosters crowing! Six inches of snow today. Time for a snowy hike.